Considering launching a big project? Feel slightly overwhelmed? 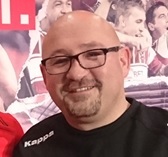 In 2013, previous London Skolars Rugby director, Mark Croston, was one of the two founding members of World Dodgeball’s governing body, leading the incorporation process and development of the association as the Official World Governing Body, with recognition from the International Olympic Committee, Sport Accord/GAISF and each of the 68 member nations Government departments. So how did they go about achieving this, and what important lessons did Mark learn along the way? Listen in this week as Mark shares his story, as well as key lessons that you can implement to help you to create your own major success story! From 2013, Mark Croston was one of two founding members of World Dodgeball’s governing body, leading the incorporation process and the development of the Association as the Official World Governing Body with recognition from the IOC, Sport Accord/GAISF and each of the 68 member nations Government departments. He is the leader, representative and ambassador and primary contact for the Board, partners and stakeholders and as such set the culture and pace across the organisation. Mark has led the transformation of the sport, turning it into a business and corporate entity, whilst nurturing its values and history, to enable it to flex its significant and growing audience. Crucially, connecting it to the governing body and all the commercial opportunities that provides. Between 2005-2016, Mark was Director of Rugby for the London Skolars, before that, their head coach, where he took the club from amateur to professional status in 3 years.